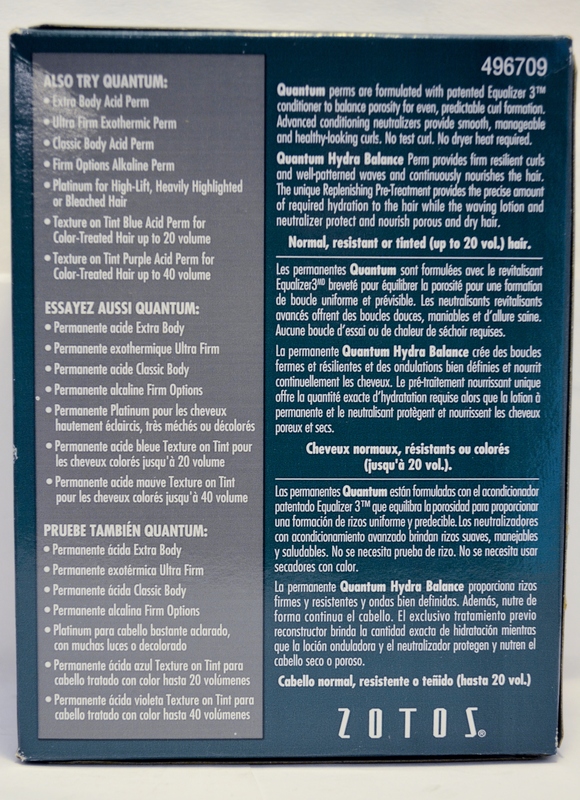 Quantum Hydra Balance is a hydrating alkaline perm that provides firm, resilient curls. Quantum Hydra Balance provides well-patterned waves and continuously nourishes the hair with its unique Replenishing Pre-Treatment. The Pre-Treatment provides the precise amount of required hydration to the hair while the waving lotion and neutralizer protect and nourish porous and dry hair. Quantum perms are formulated with Equalizer 3™ conditioner to balance porosity for even, predictable curl formation. Our advanced conditioning neutralizer is infused with Argan Oil from Morocco to add weightless shine and brilliance for manageable, healthy looking curls. No test curl or dryer heat required.